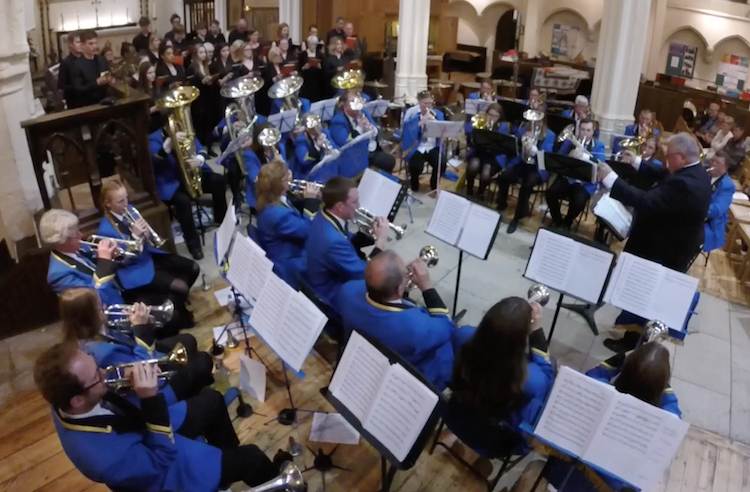 Cubbington Silver Band have kickstarted the summer season with a performance at St Mary’s Church, Hendon. Performing alongside the church choir, CSB played a number of pieces ranging from brass band classics including Share My Yoke, Joy Peace, and Happiness and The Light of the World to newer works and arrangements such as The Old Rugged Cross, Napoleon on the Alps and Reet Petite. To conclude the concert we joined the church choir for a joint performance of the hymn Let The People Praise Thee, which was arranged especially for the occasion by our Principal Trombone player who was also pivotal in the arranging of the concert.